In April 2016 90 Tons of Turkeys Invade Illinois. 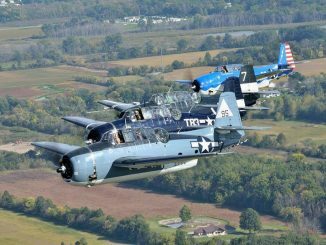 Noted TBM owner Brad Deckert organized the 1st Annual TBM Avenger Gathering, a 3-day event, at Illinois Valley Regional Airport (KVYS) in Peru, Illinois. For the event, an impressive 10 TBMs from as far away as Massachusetts flew in for the event. An additional 200 aircraft, including 52 warbirds, flew in during the weekend, all of which were viewed by just over 10,000 spectators. Given the overwhelming success and positive response from the public, it was only natural that Deckert host the 2nd Annual TBM Gathering on May 20, 2017. For this year, the same ten Avengers that attended last year will be joined by at least four additional TBMs and the list could grow in the months and weeks leading up to the event. 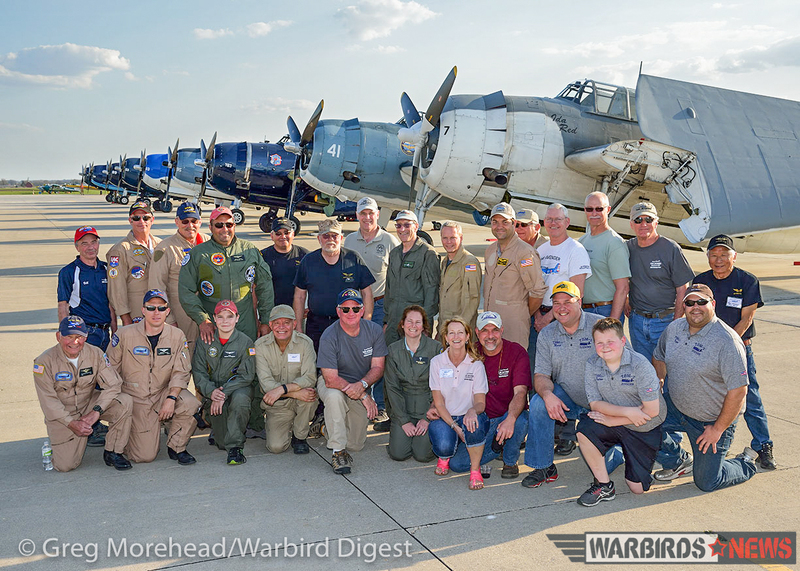 The event free to the public again this year thanks to Marquis Energy and Brad expects a significant increase in warbirds this year. On Friday night there will be a dinner for VIPs and sponsors, a dinner on Saturday for VIPs, and flight and ground crews, and a Sunday morning forum for TBM operators. Only on Saturday the event will be open to the public. Brad stated that during last year’s forum a great amount of information was exchanged between crews. The public will have will have access to the ramp so they can see these magnificent warbirds up close and speak with the crews. 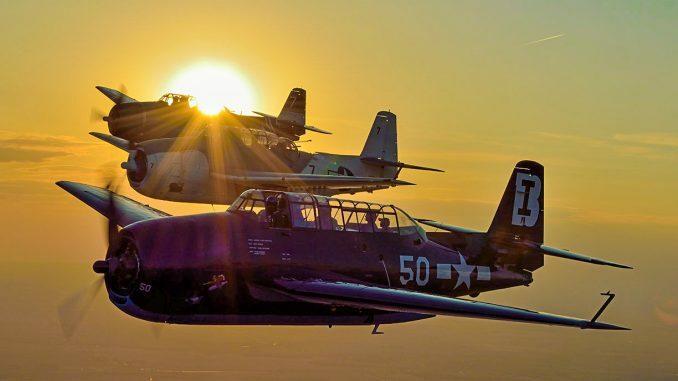 Last year non-TBM warbirds attended on their own dime, but this year Brad says thanks to sponsors they will receive all the fuel they can hold, while TBMs will receive and appearance fee. There will likely be waivered airspace this year so all pilots, regardless of type, are urged to check NOTAMS prior to arrival. Throughout the day rides will be available in helicopters, T-6s, and TBMs. If you are interested in sponsoring a TBM and enjoying the perk associated with that please contact Chuck Studer at KVYS at 815-223-2003. 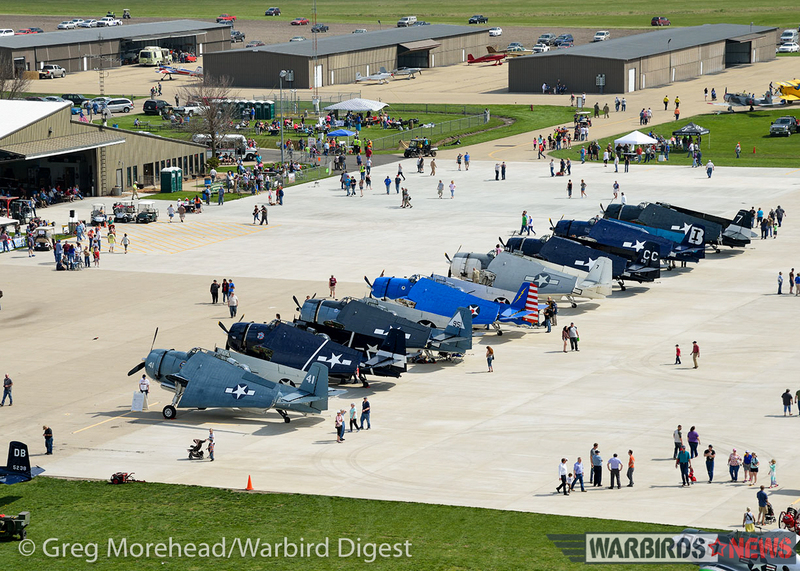 Warbirds News has created the Official Event page to keep the public informed. Click HERE. 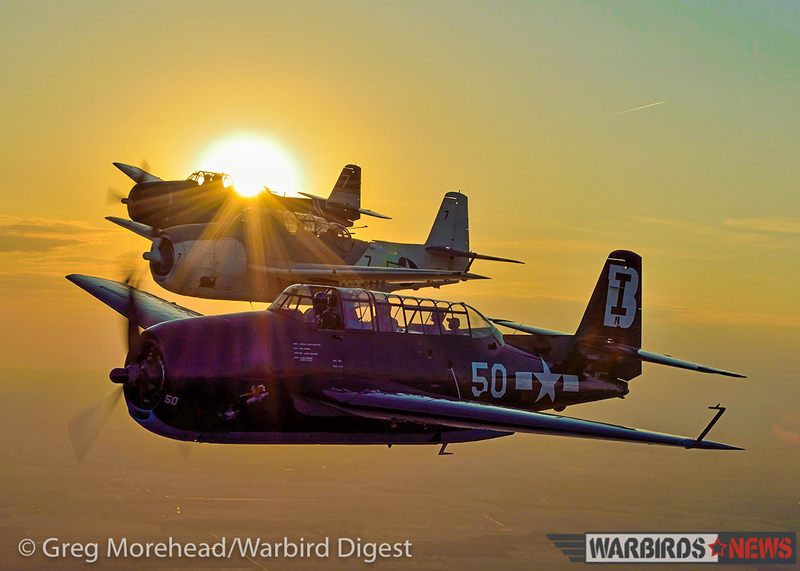 Subscribe to Warbird Digest. 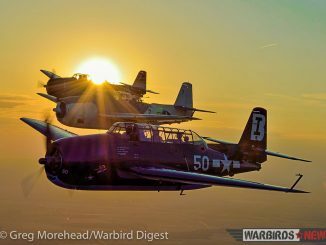 Warbird Digest is a bimonthly publication filled with news, articles and stunning photography on aviation from the World War Two era. Each issue highlights current restoration projects as well as in-depth articles related to the planes and the men and women who fly them. Click on the banner below for more information. This is not all that far from home, I’m going to try to be there! Here are some photos of TBMs at the Ryan Air Attack Base in Hemet, CA. Maybe someone will recognize one or the crews. I took these in 1963.